What a fantastic day with Fede and Ella skiing the legendary Vallée blanche. We could fully enjoy every minute – thanks to the professional, friendly and safe guiding. 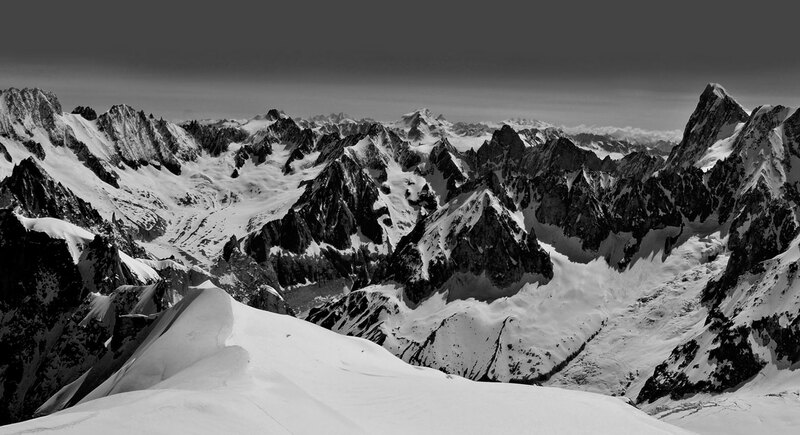 The Vallée blanche with Patagoniatiptop should definitely be on every skiers bucking list! Special thanks to our wonderful leader, Ella. Thank you for your constantly caring for all the unseen details, for your mountain wisdom, expertise, patience, and just-plain-delightfulness. Thanks Federico, and again thanks for your leadership, your skills, and for being a good fun guy to be with for a week! Que buena decisión haber contactado con Patagoniatiptop, nuestro ascenso al Mont Blanc se vió garantizado gracias al excelente trabajo de Federico Arletti, su confianza y agradable compañia fue factor importantisimo para culminar nuestro ascenso. Federico, un abrazo desde Colombia, recomendaré absolutamente tu empresa. Our guide Ella Alpiger was exceptional! She was highly professional, personable, funny, informative, organized, and always did everything to ensure the safety and comfort of every client; we would trek with her again anywhere – she truly made the 10 days feel very special. Back home in Switzerland I can just repeat what I mentioned yesterday already. Thanks a lot for providing this in-depth mountaineering experience to me! Ella it has been great to ski with you again and I feel the plan is developing. A big thank you with a big hug for the magic days we spent together with you. I think the balance between the different trainings was good and I really got a very healthy and super good training out of the camp. It was an amazing “almost summer” skitour with Federico to the Pico Argentiono (Tronador) via Ref. Otto Meiling. Two unforgettable and really well prepared days in Argentina/Bariloche. Many thanks to Frederico & Ella for their effort to make it happen. It was great!!! Again, Craig and I treasured our time with you on the most incredible hikes!! Thank you for your “Swissness” in making everything perfect! Canadian writer and travel blogger, Laura Gosset, and a group of her friends recently hiked with us in the Dolomites and she posted all about their experiences on her blog, Away, eh! Check it out for yourself! I have been on a skitouring trip with Federico and Ella in Chile and Argentina. We did Lonquimay, Llaima, Villarica, Tronador, and others. It was a pleasure to be on the tour with them. They know the whole area very good, and we could find good tours and were able to adjust our programm to actual conditions very well! Everything was very well guided and organised. Many Thnaks for this great experience!